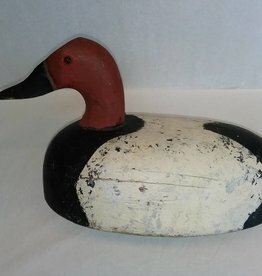 Crude folk art, hand-carved wooden ducks, Stained, initials & dates on some, others signed. Various lengths 3.5" to 5". 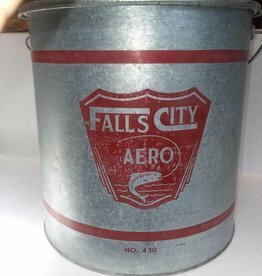 c.1960, large galvanized minnow bucket, Falls City Aero #430, very good condition, complete. 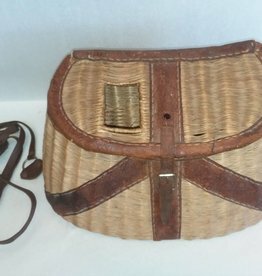 13.5x13.5"
E. 1900's, Split Willow Creel w/strap, leather reinforced, nice condition. 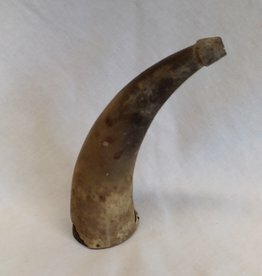 15"
Vintage Cow Powder Horn, 6"
1950's, Wire mesh trap for catching minnows, bow-tie shaped, 17.5". Nice condition. 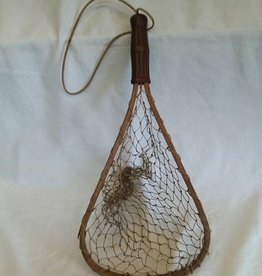 Still very usable. 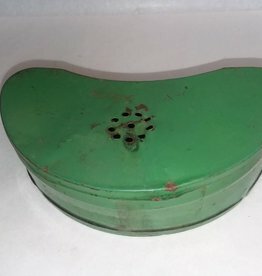 E.1900's-L.70's. 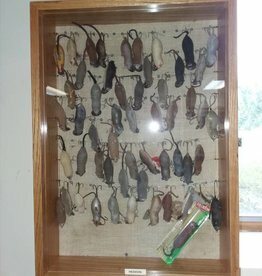 Glass front oak case w/assortment of 54 Heddon mouse lures. Very Good condition. Most are used but ears & tails are intact. 1 New in package included. 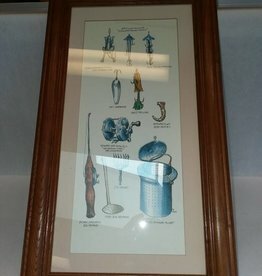 An excellent collection. 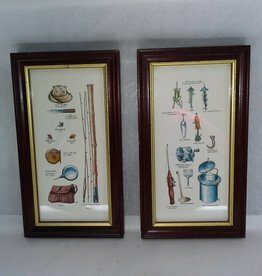 E.1900's-L.1970's. 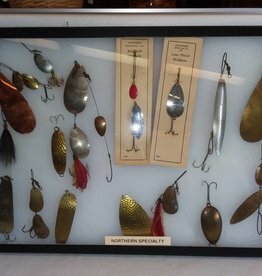 Cardboard case with assortment of lures, spoons & reflectors manufactured by Northern Specialty Co., Whitehall, NY. 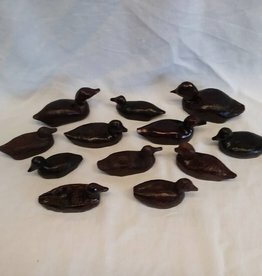 Lot of 16. 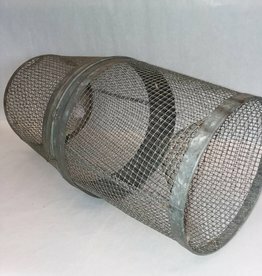 16.5"x12.5"x.75"